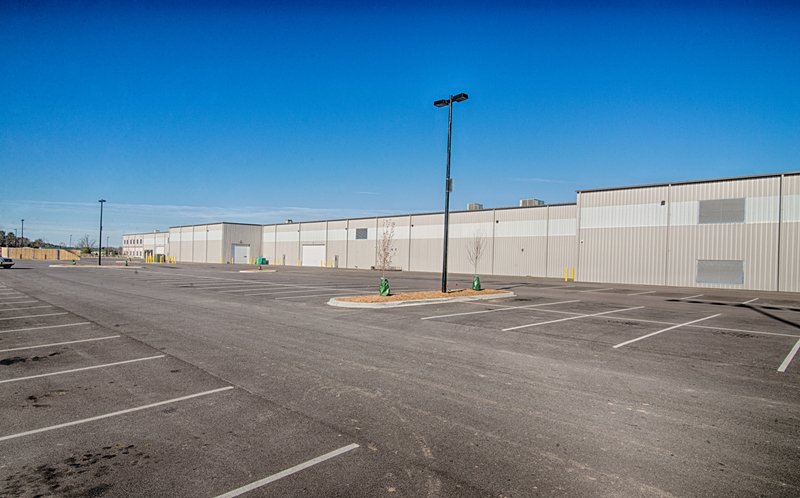 187,500 s.f. 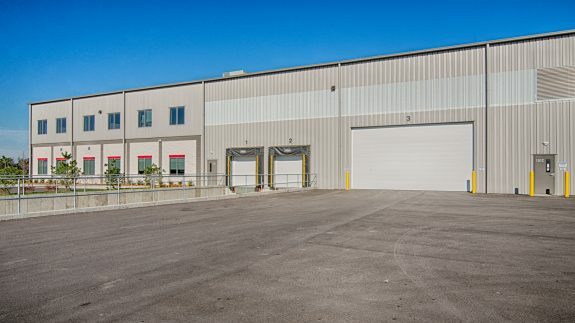 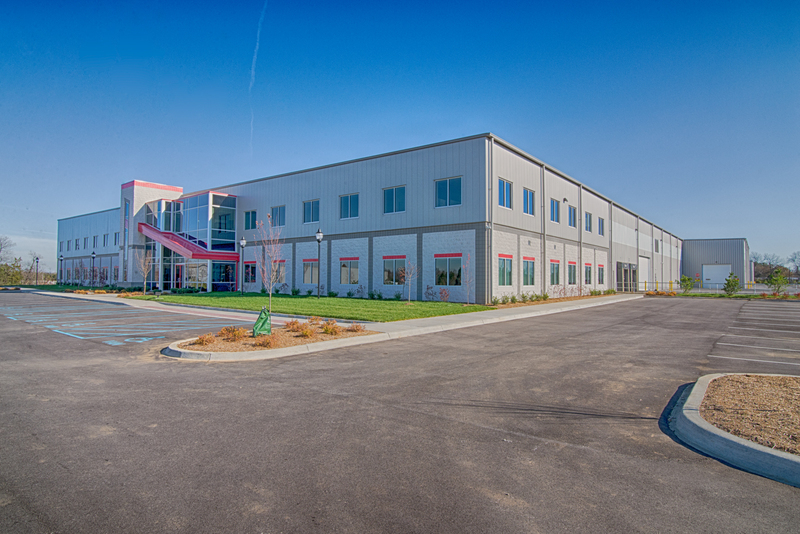 manufacturing office/warehouse for Santa Rosa Systems/Material Handling Systems. 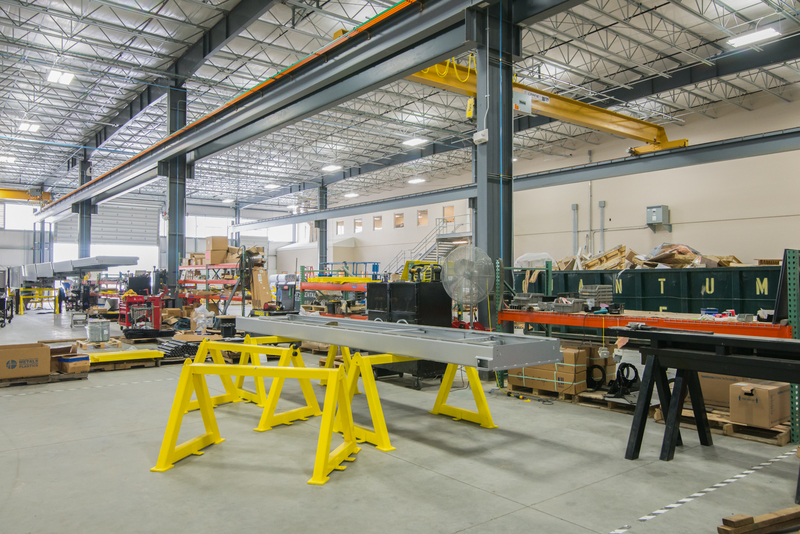 This company specializes in manufacturing automated conveyor systems for large companies like Amazon, UPS, and Fed Ex. 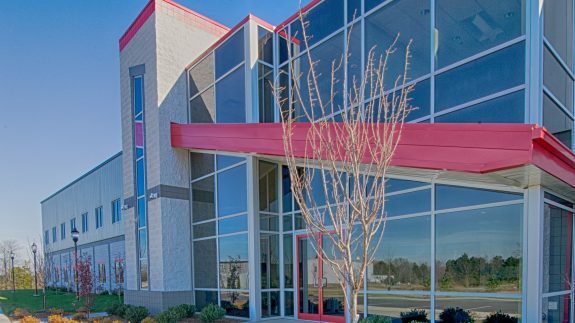 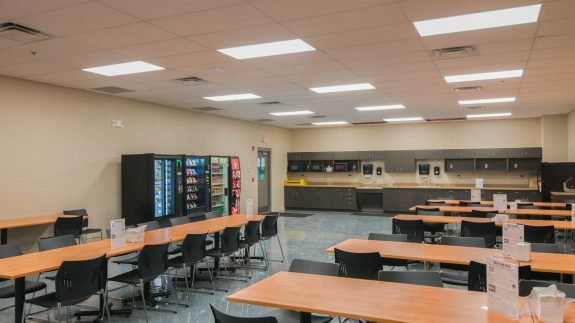 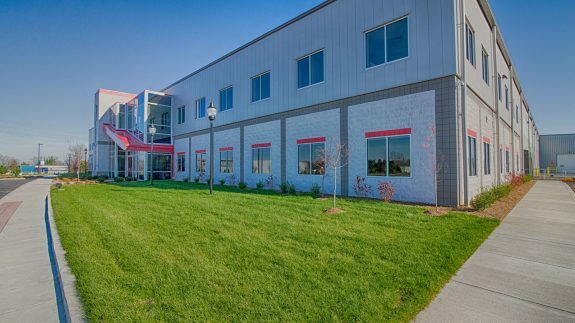 This building is a custom Butler engineered metal building with Shadowall wall panels, MR-24 standing machine seamed roof system, interior liner panels, Wainscot masonry at the front office area, storefront glass entry and atrium, and standard doors and hardware. 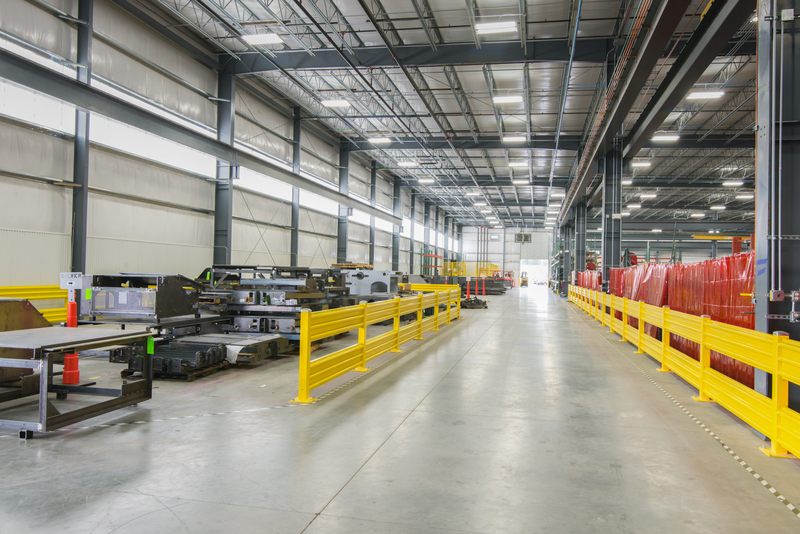 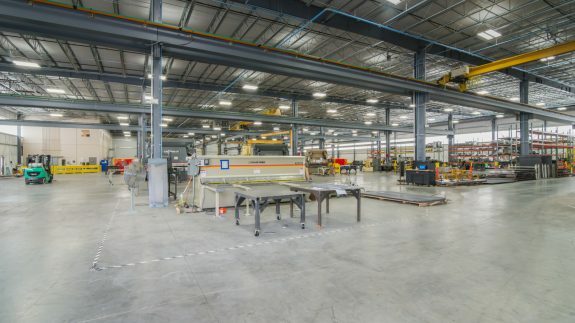 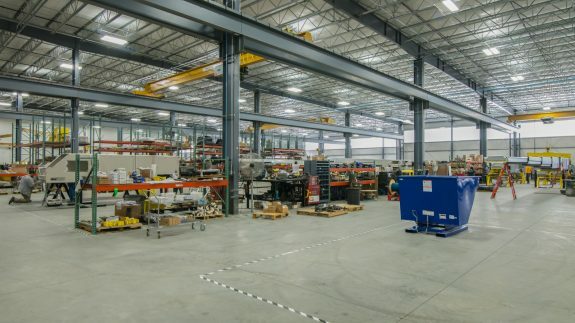 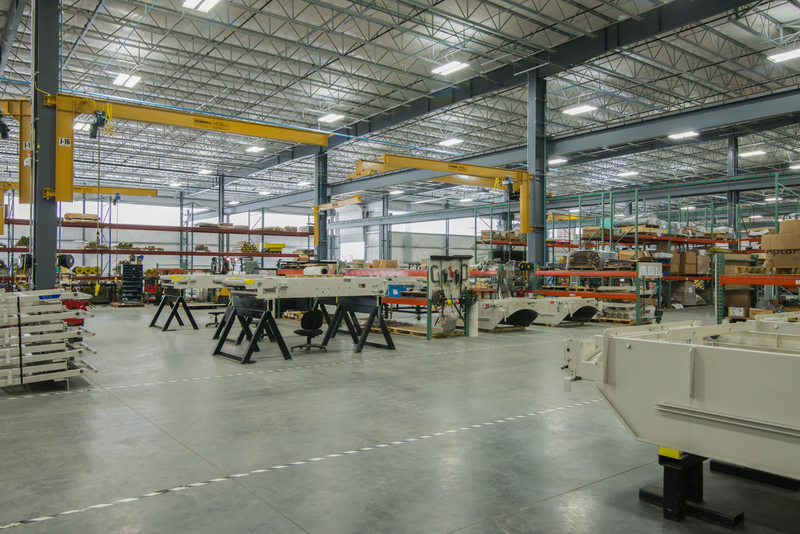 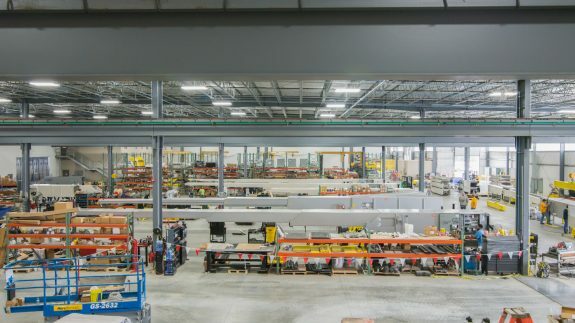 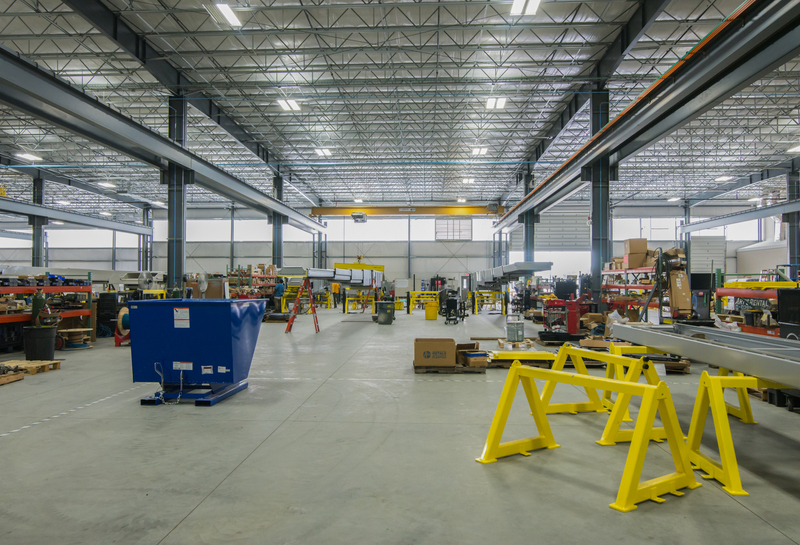 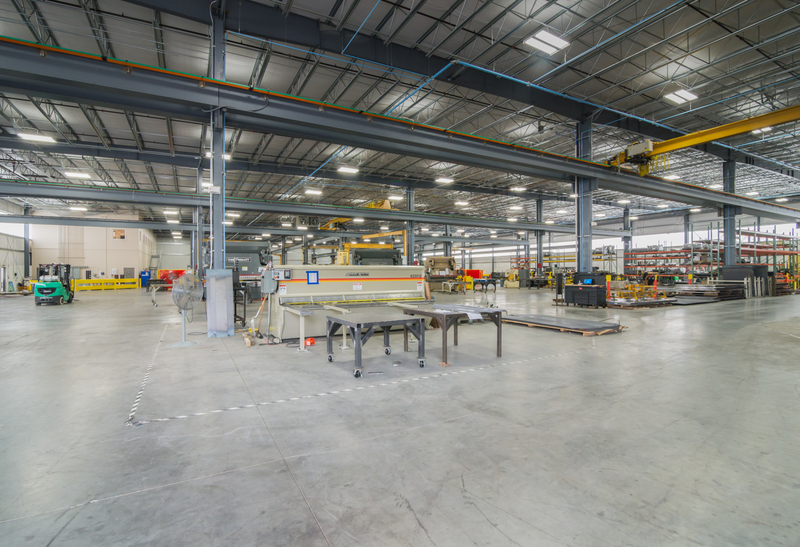 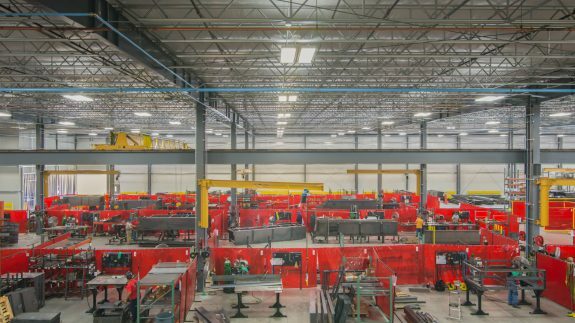 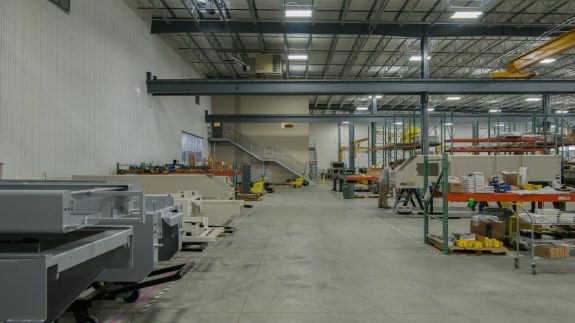 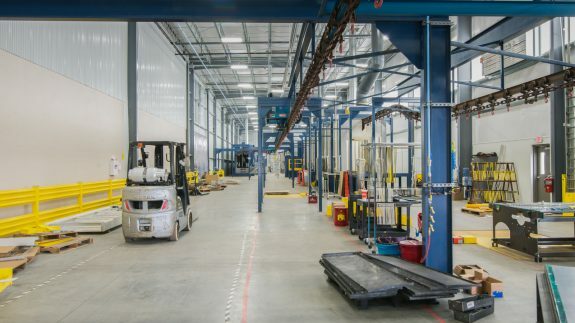 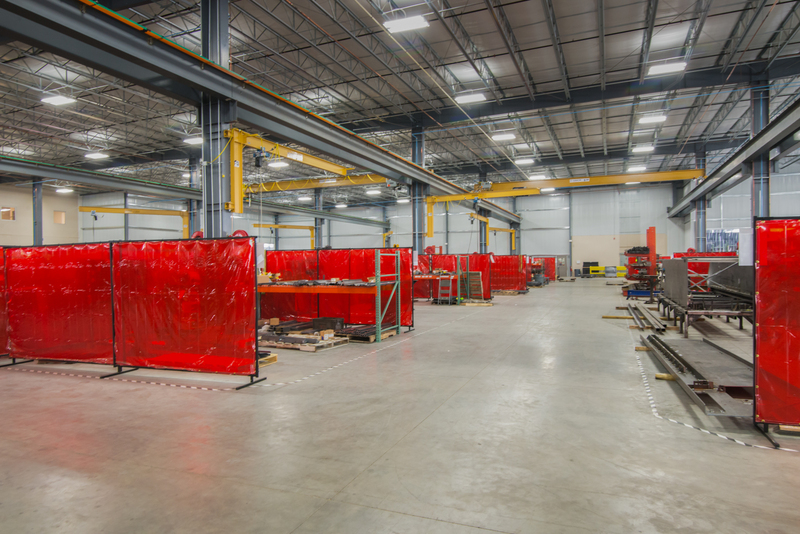 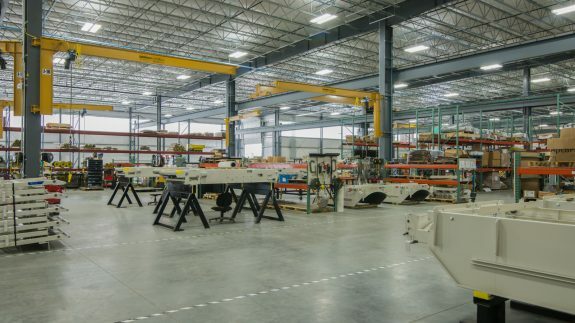 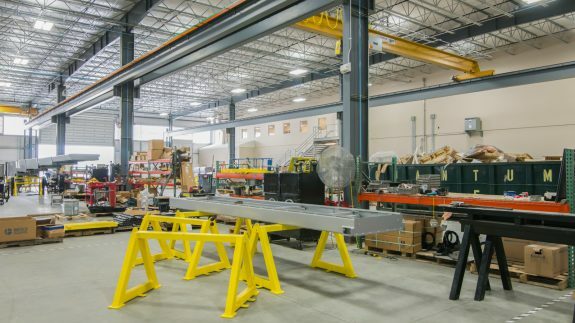 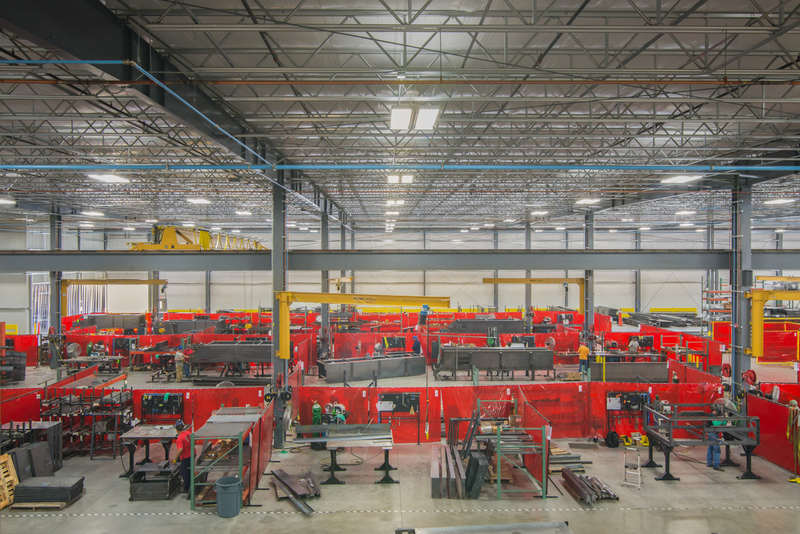 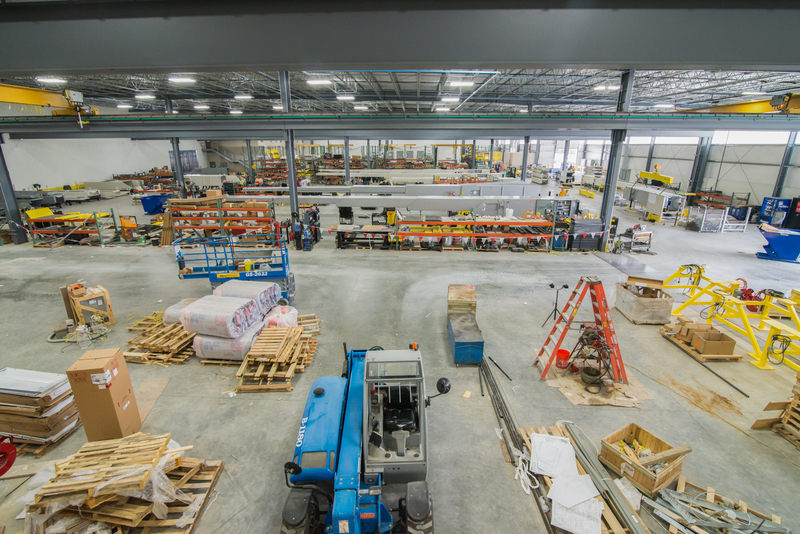 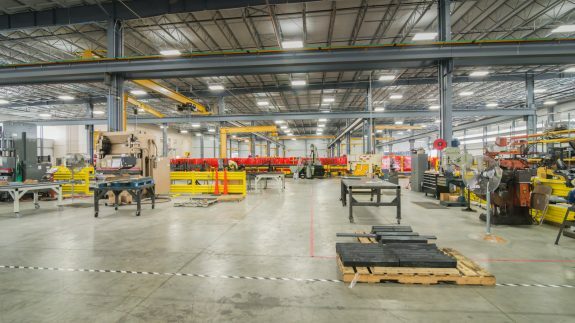 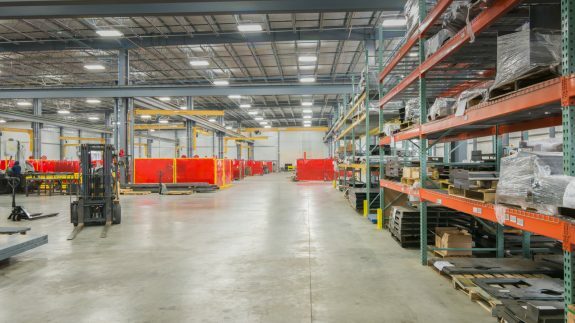 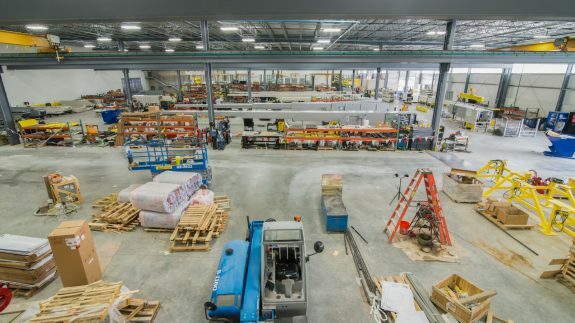 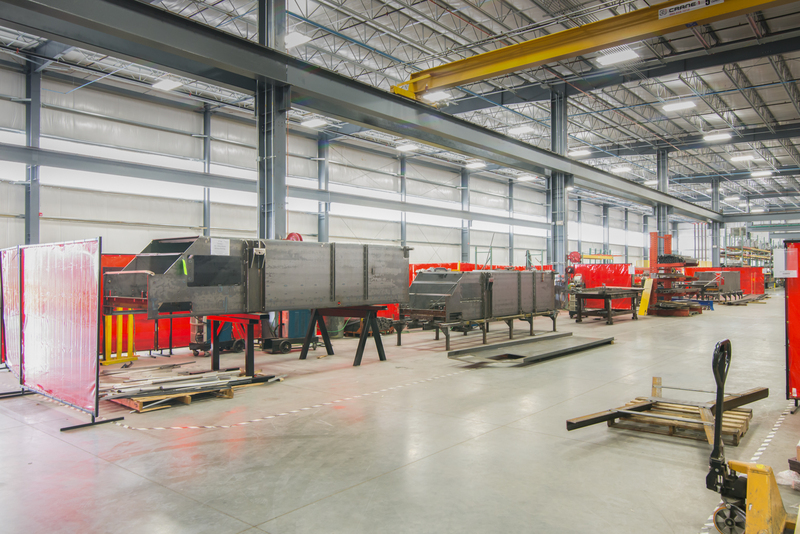 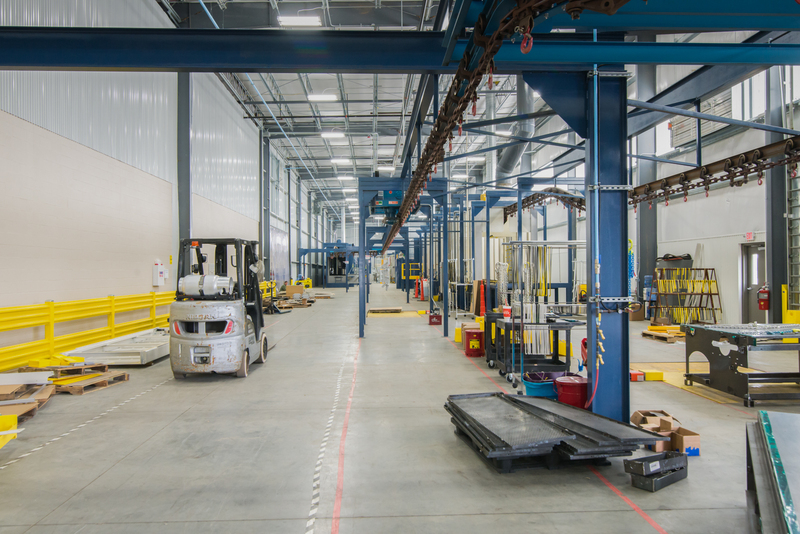 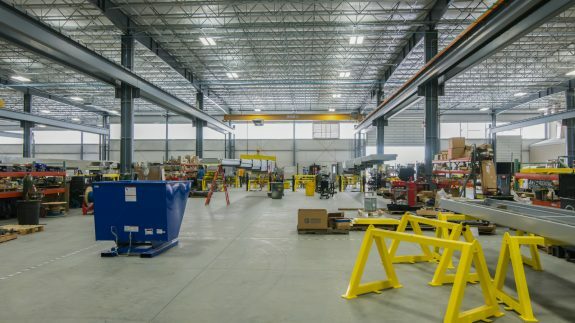 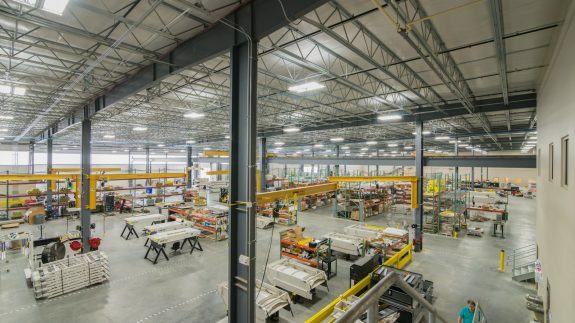 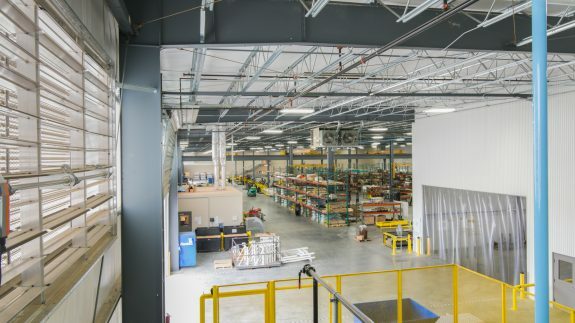 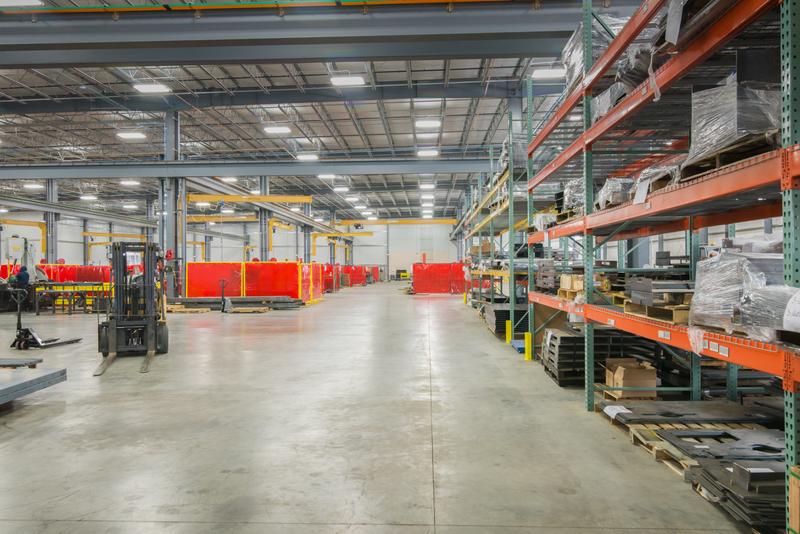 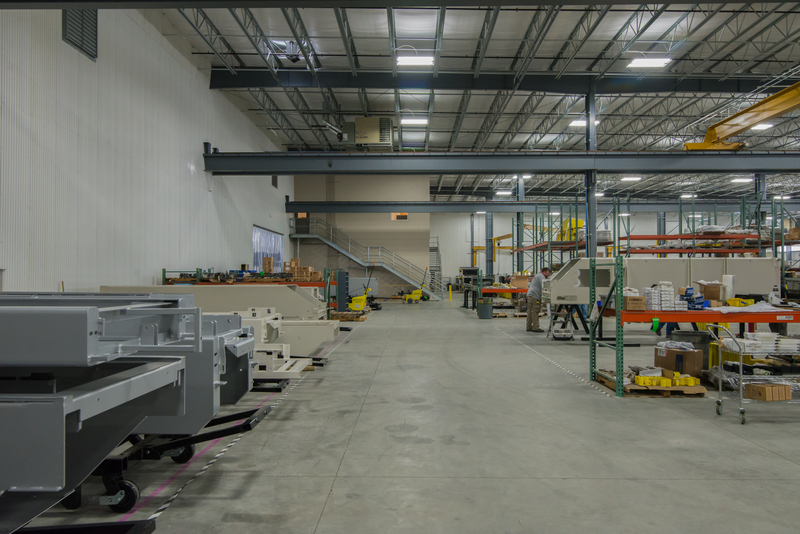 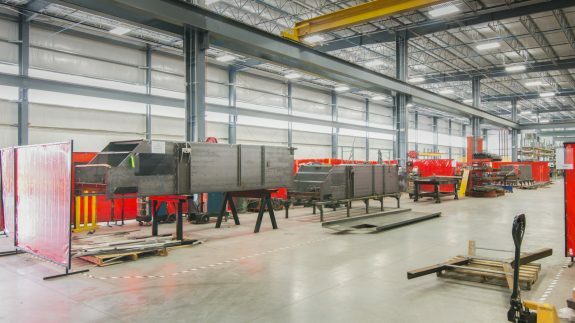 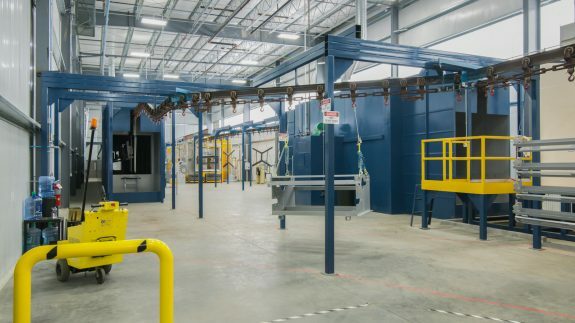 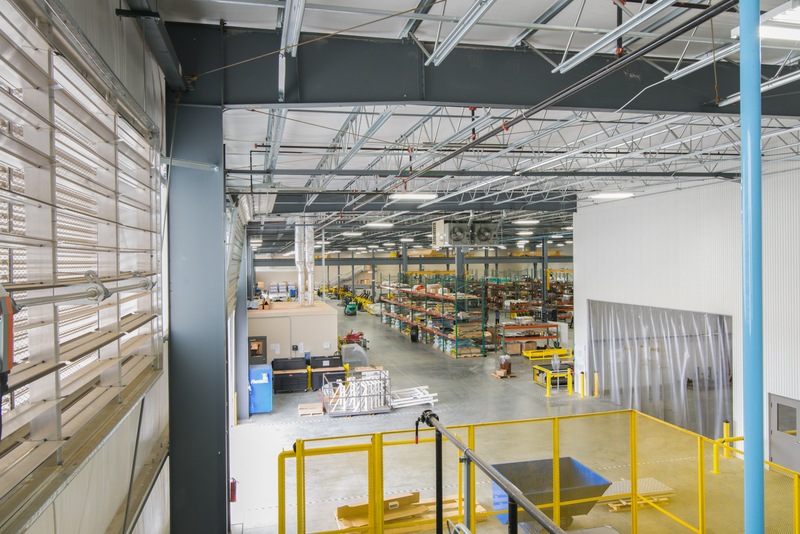 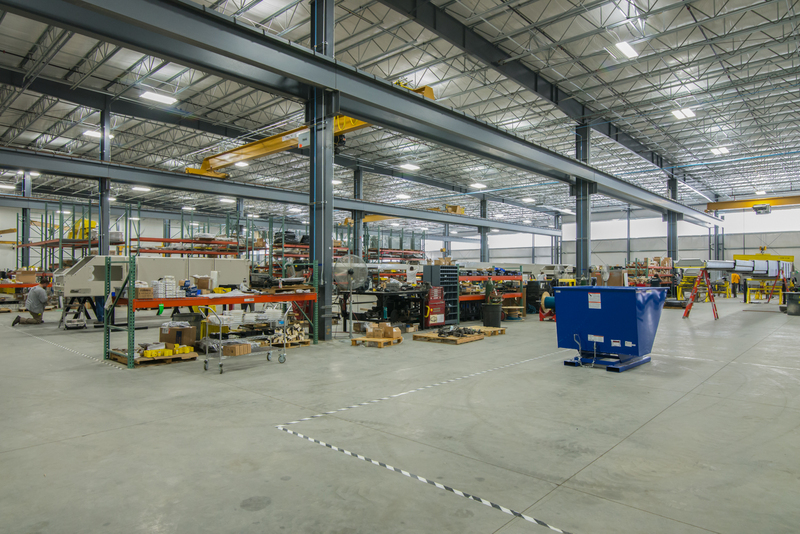 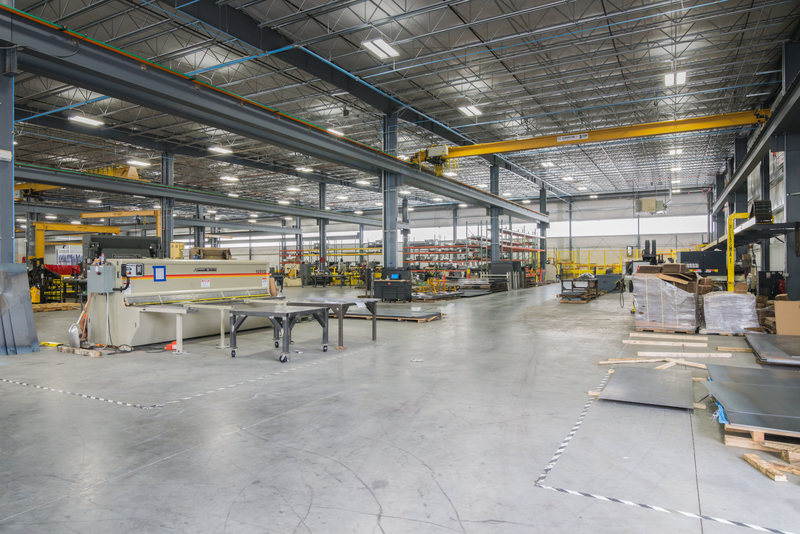 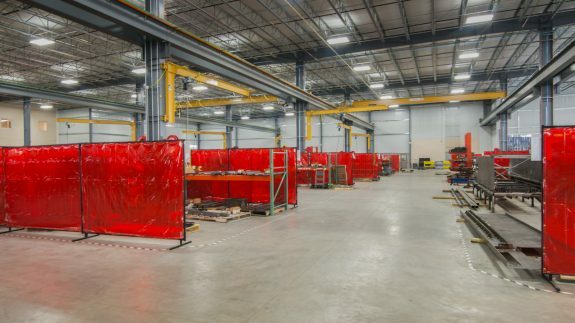 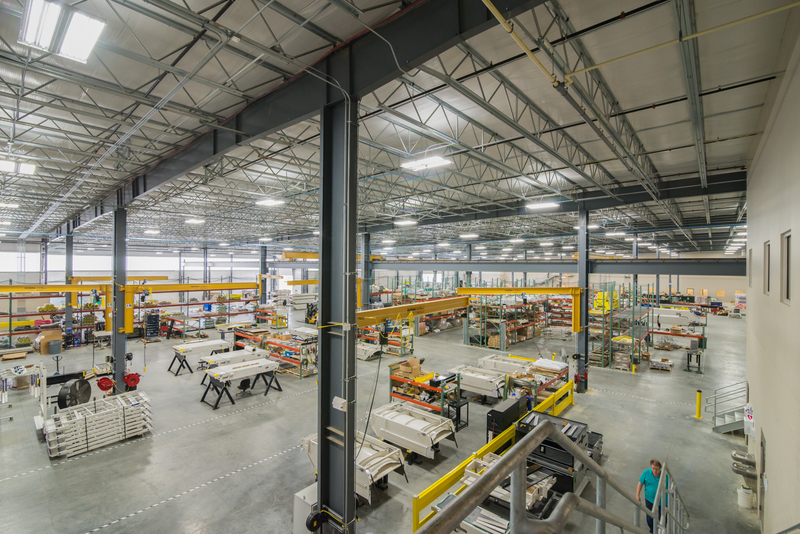 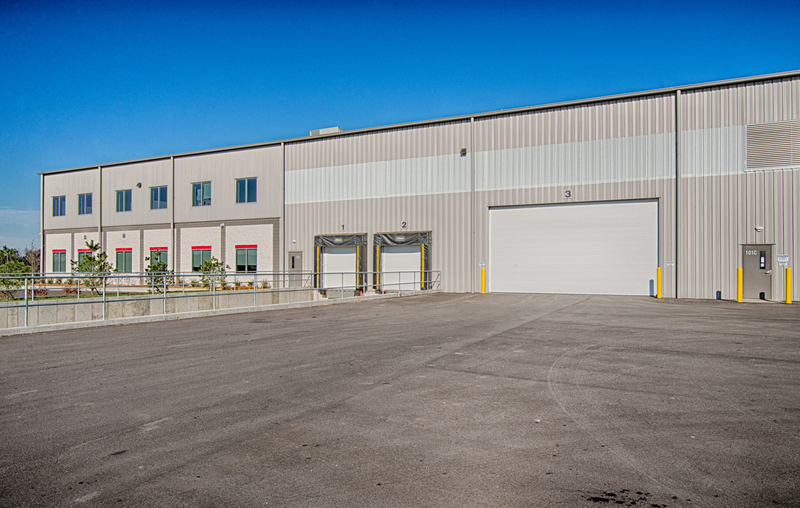 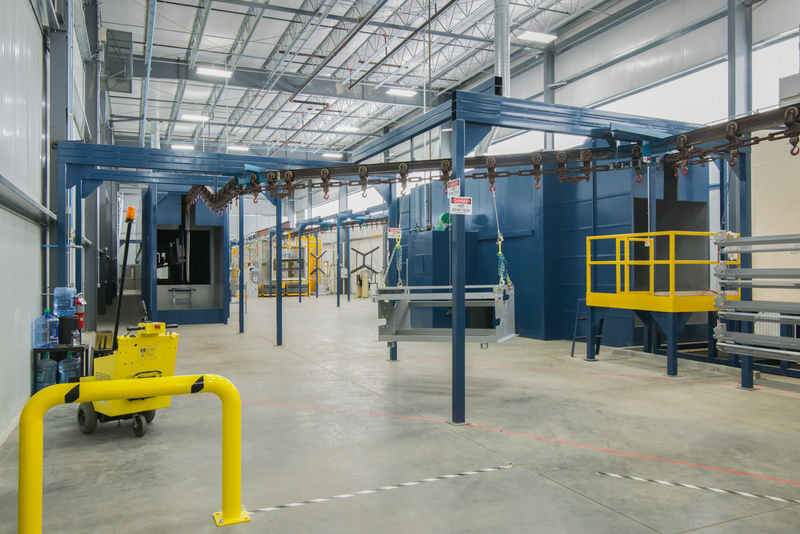 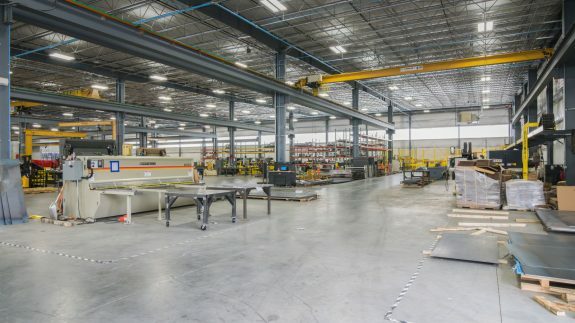 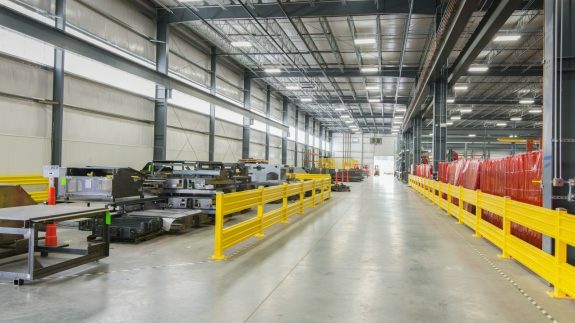 The manufacturing area has 10 overhead – 10 ton cranes and 46 – 1 ton Jib cranes. 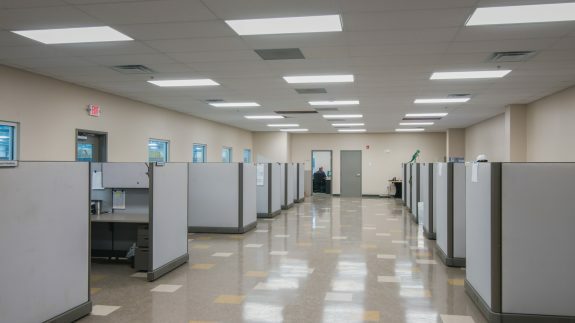 The office area is two floors, 20,000 s.f. 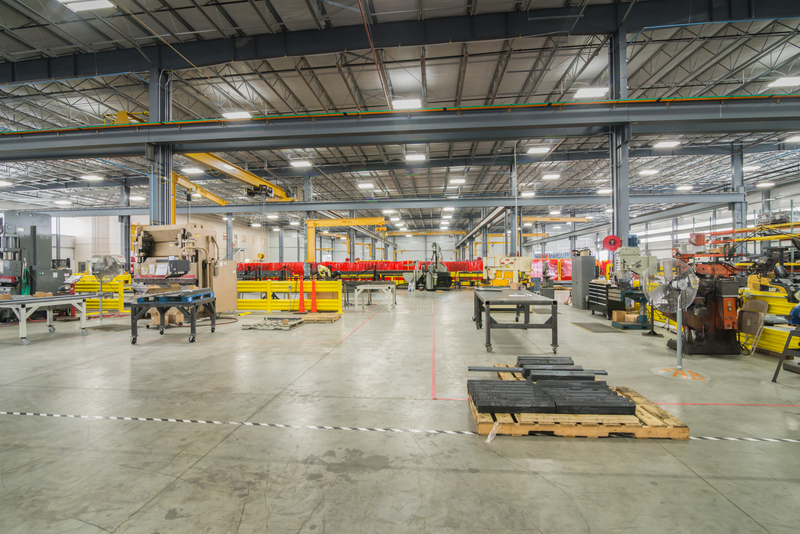 per floor for a total of 40,000 s.f. 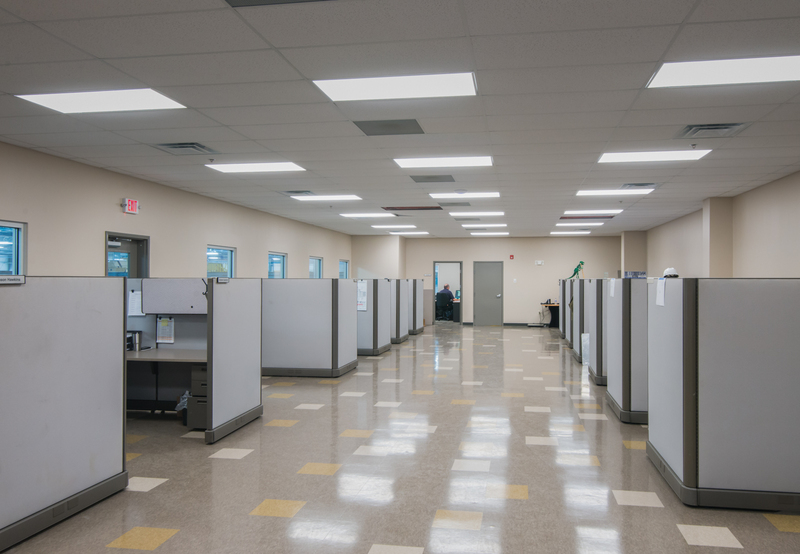 of office. 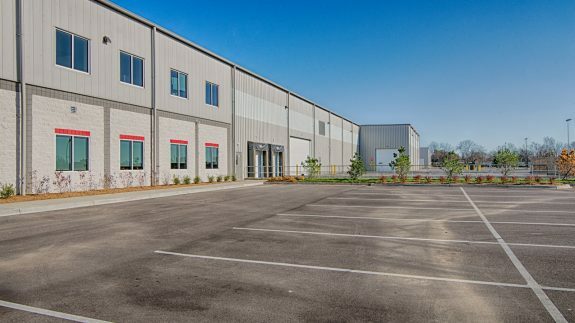 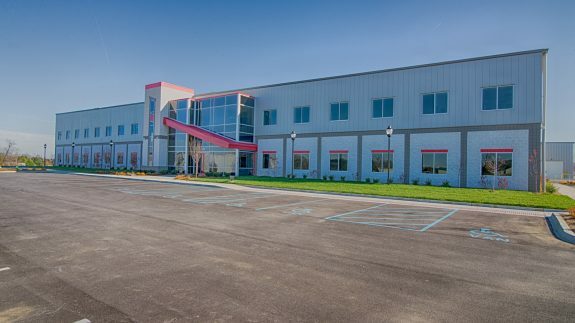 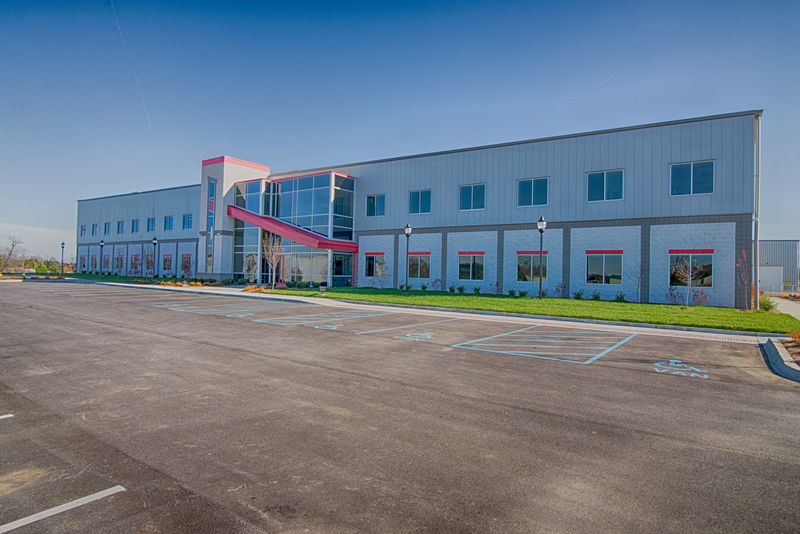 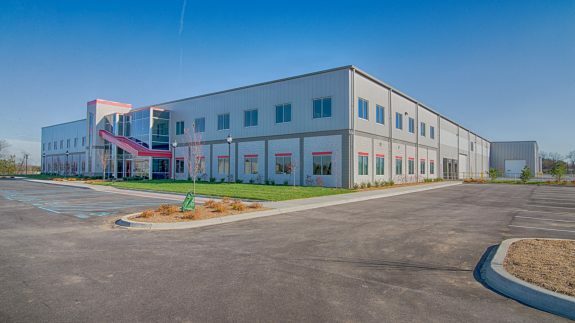 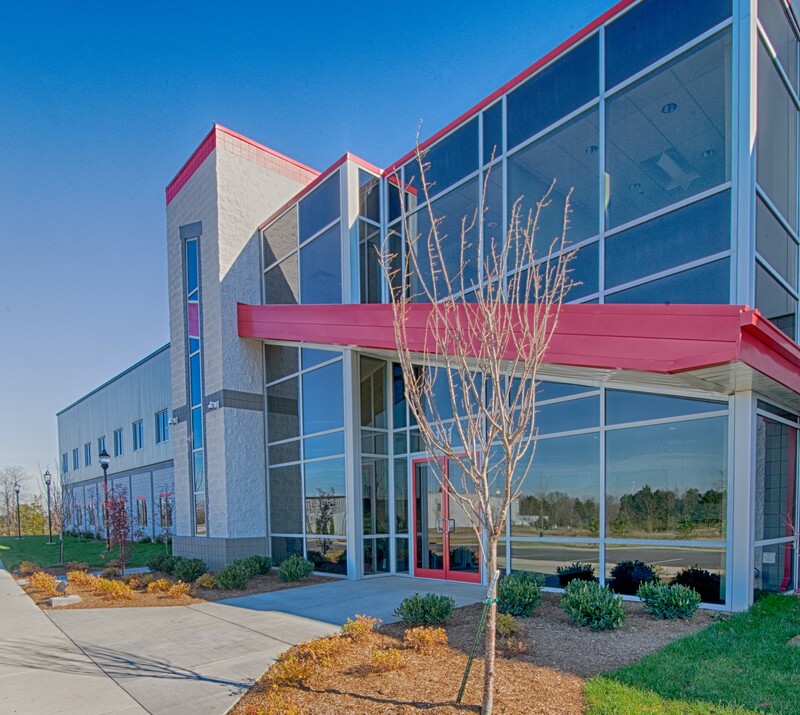 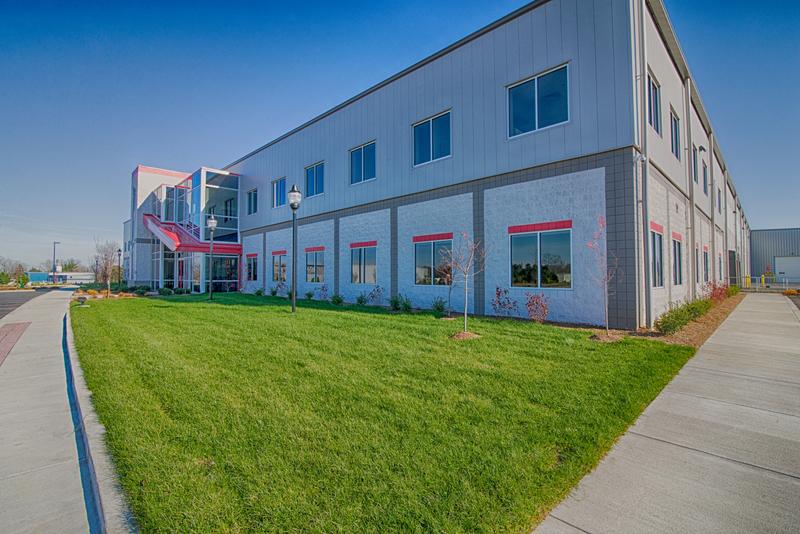 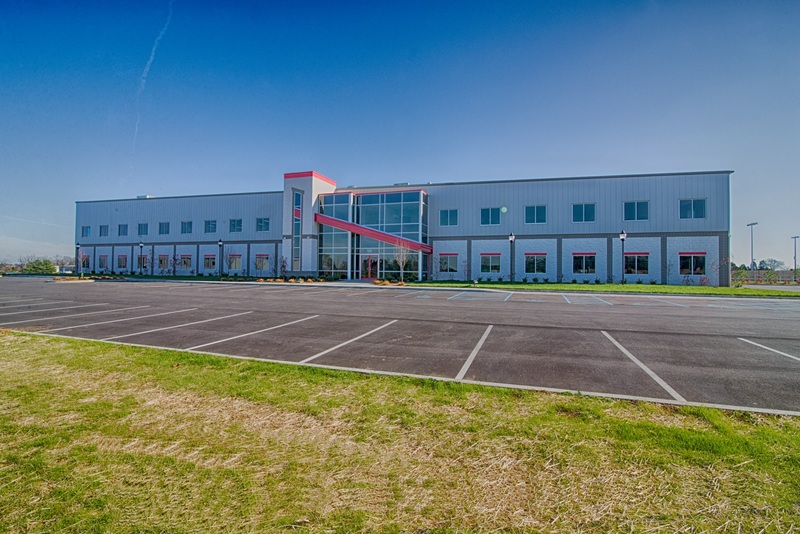 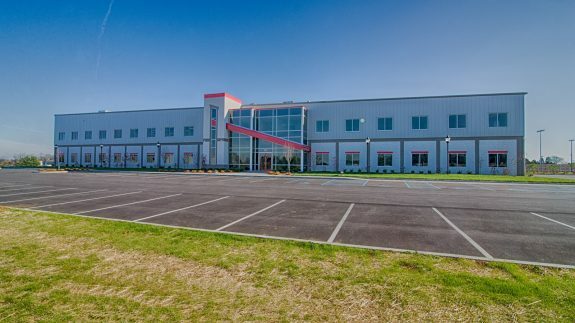 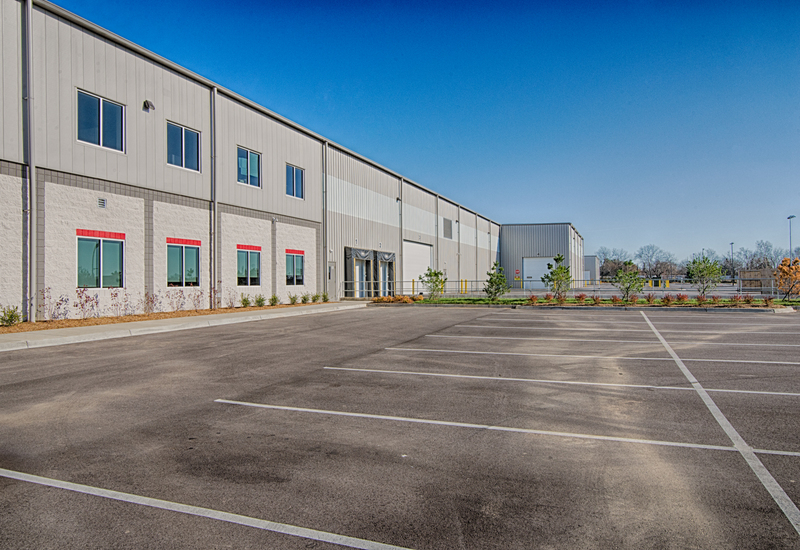 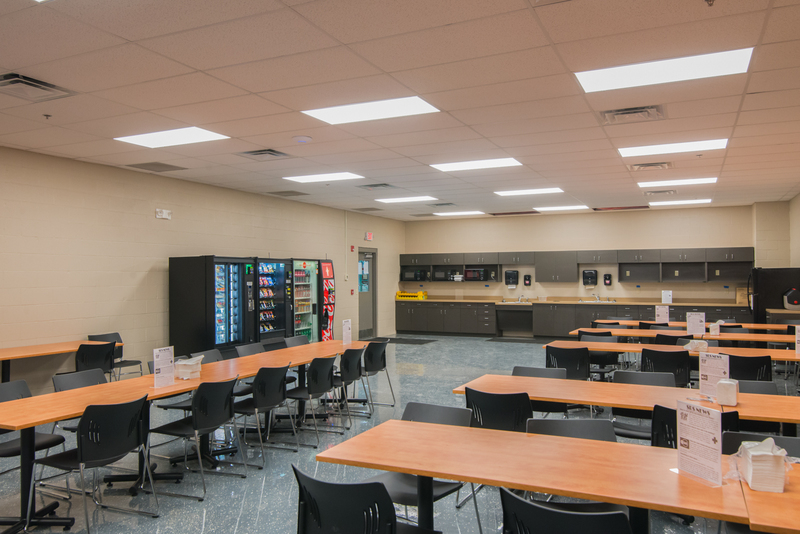 The building is designed and build by Lichtefeld, Inc., Butler Manufacturing along with Berry Prindle Architects. 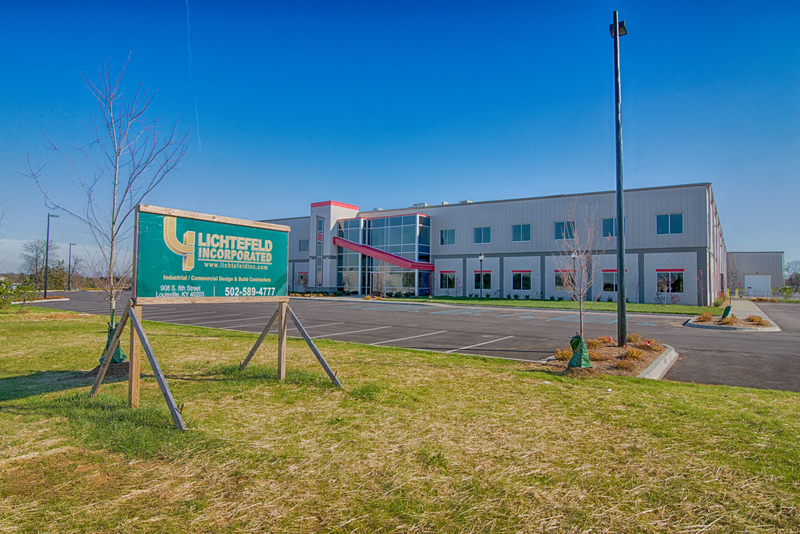 Lichtefeld, Inc. handled all drawings, ie. 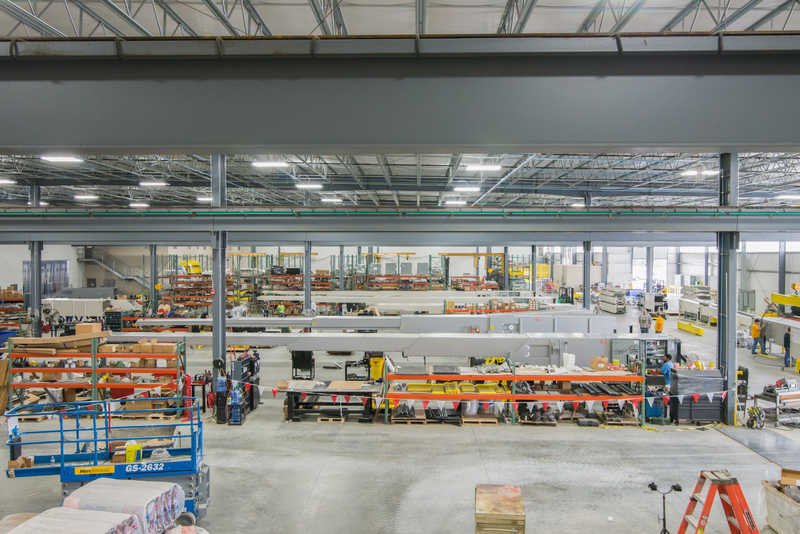 civil engineering, structural engineering, architectural work, interior design work, steel structural engineering, electrical, mechanical and sprinkler engineering. 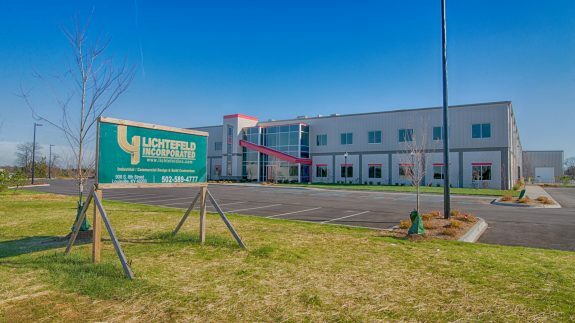 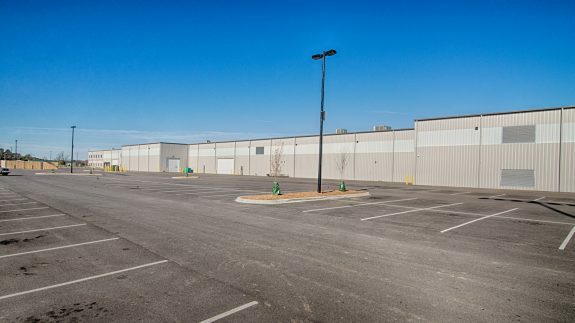 All development plan reviews, city approvals, and all permitting was by Lichtefeld, Inc.